Black/ Red wonder Flower is 8cm across at the widest parts. 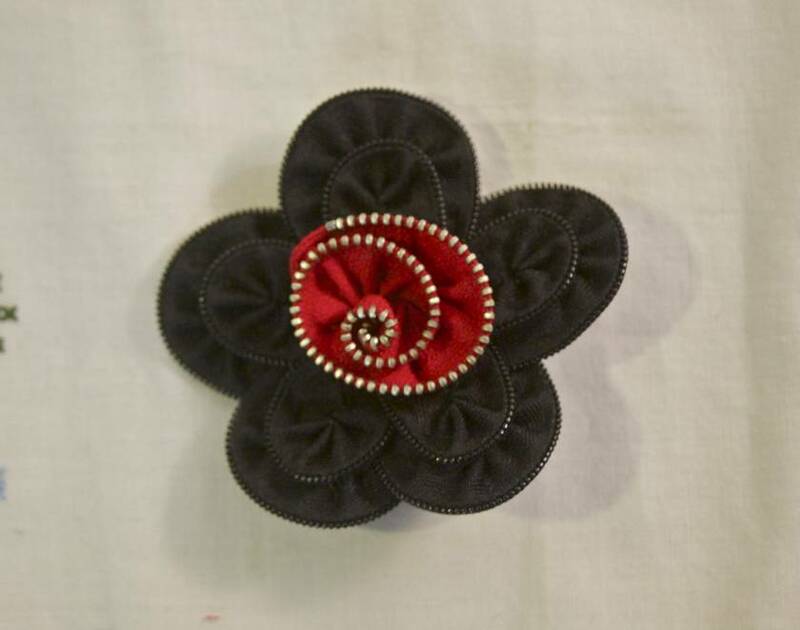 This flower is made from zips carefully hand sewn together ,the centre swirl is made from zips with metal teeth which gives it a real jewellery feel,It has a brooch pin on the reverse side so you can pin them to your favourite outfits/hat /bag/coat. Just imagine it on your favourite coat or jacket!